by Venus Zoleta, on category "Credit Card,In-Depth Guides"
Citibank is known for its fast credit card approval and delivery time. It takes only one to two weeks to get approved for a Citibank credit card online and a few days to receive your new card. In contrast, other banks make you wait for a month or longer to process your application, and another one to two weeks to deliver the card. 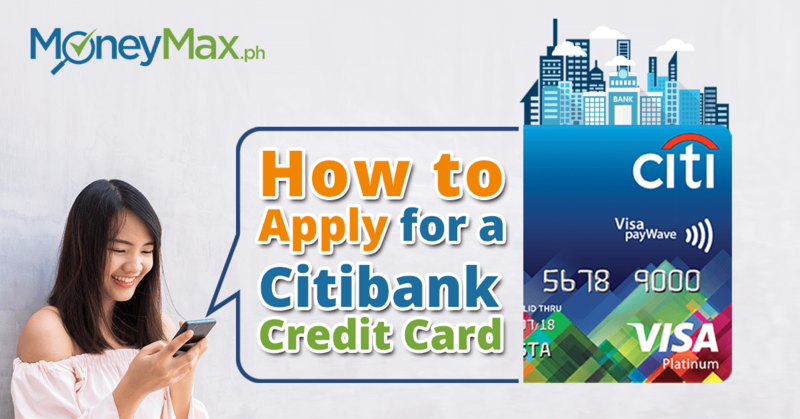 Citibank also has one of the easiest credit card application systems in the Philippines. You can do a walk-in application at a Citibank branch or deal with a credit card agent. But the simplest and most convenient way to apply for a Citibank credit card is through the Citi Philippines’ online credit card application and approval program. Using a laptop or any mobile device, you can find out in just a few minutes if you’re qualified for a Citi credit card. Citibank has a credit bureau that helps it decide faster on credit card approvals. 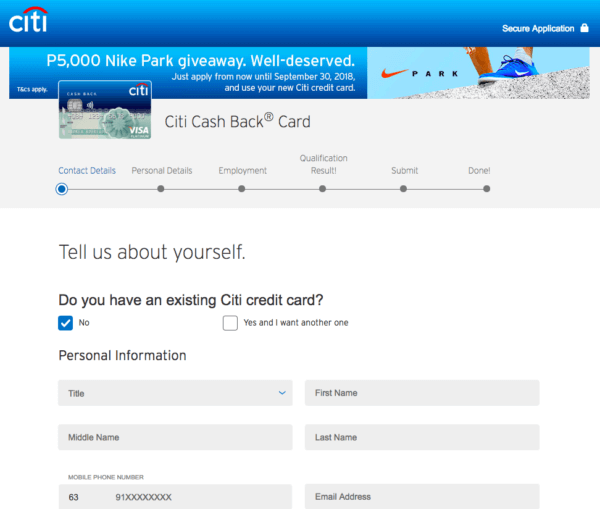 Here are the steps to applying for a Citibank credit card online. Citibank will accept your credit card application even if you don’t have a deposit account with the bank. Only a valid government ID is needed for your Citibank credit card application if you have a credit card, whether with Citibank or another bank. Scan or take photos of these Citibank credit card requirements. You’ll have to upload the images later when you apply for a Citi credit card online. Compare the benefits, rewards, annual fees, interest rates, and other features of these Citibank credit cards so that you’ll know which one suits you best. You can use this free credit card comparison tool to save time in choosing the perfect Citi credit card for you. Once you’ve decided on the Citi credit card to apply for and have all the requirements ready, you can proceed with the online application. Visit the online credit card application page. 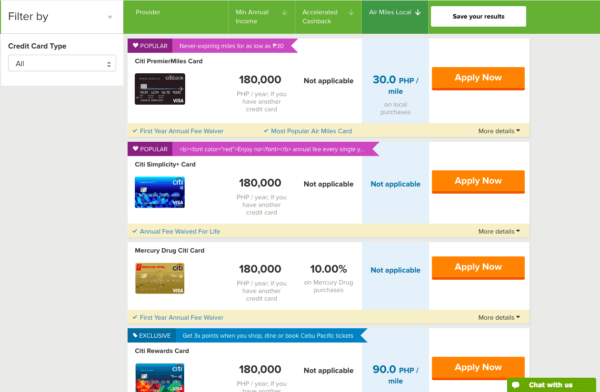 Click the “Apply now” button next to your chosen Citi credit card. This will take you to the online application form for Citibank credit cards. Tick the appropriate responses to the questions from Citibank (e.g., “Do you have a principal credit card with another bank?”, “Do you have an existing Citi credit card?” etc.). Fill out the application form. You’ll be asked to provide your contact details, personal information, and employment data. Concerned about the security of your personal data online? Worry not because Citibank uses 256-bit encryption for its online facility. This makes it hard for hackers to access your sensitive data. When you’ve completed the form, you’ll get your qualification result online based on your responses. Citibank will let you know right away whether you can or cannot go ahead with the next step of your credit card application process. If you’re qualified for a Citibank credit card, the next step is to upload the images of your income documents on Citi’s online application facility. When you’re done, all you have to do is to wait for five to seven banking days for Citibank to verify the documents you’ve sent and to approve your application. 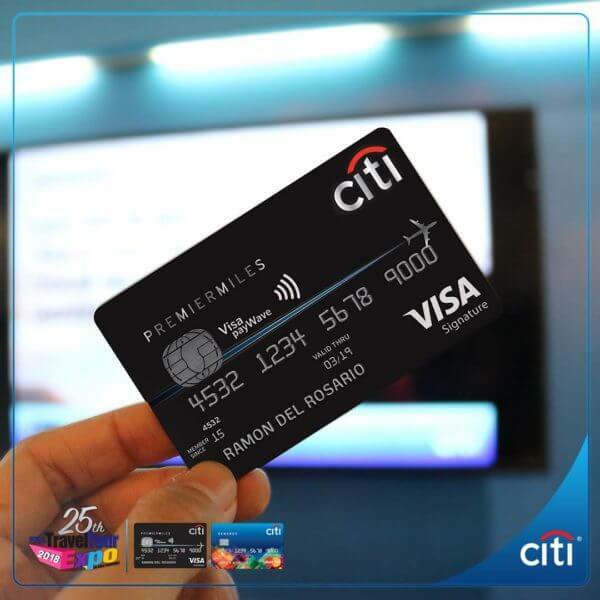 You’ll receive your Citi credit card in around four days. Call the Citibank credit card customer care hotline: 995 9999. Key in your application ID or TIN. Applying for a Citibank credit card is fast and easy as long as you meet all requirements and follow the application steps correctly. Have you applied for a credit card with Citibank? How was your experience? Let us know in the comments below.